If you're a visitor from The Blogger's Quilt Festival, welcome to my blog. Today I am entering my Rainbow Mini Quilt. I made my quilt for a Dare to Dresden Blog Hop. 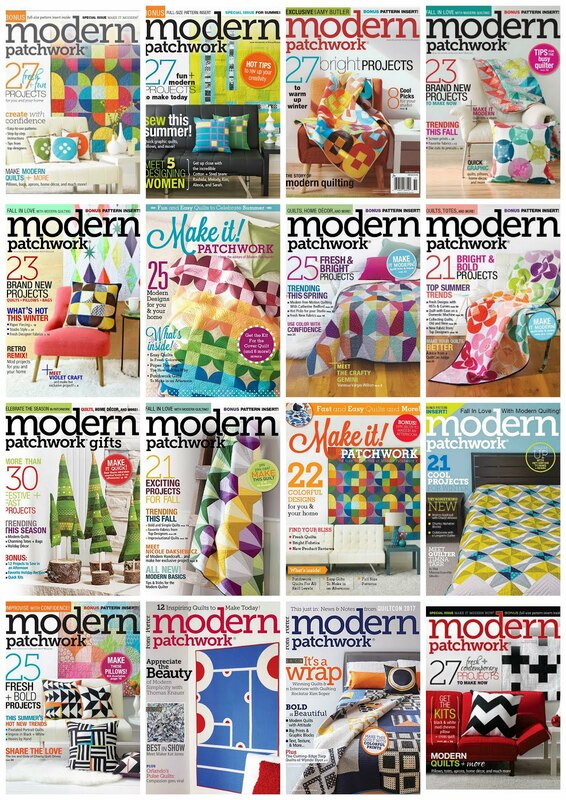 That quilt is one of my favorites. I'm entering it into the Doll/Mini Quilt category. Tym razem i ja postanowiłam spróbować swoich sił na Blogger's Quilt Festival. Każdy z Was kto chciałby wziąć udział w zabawie organizowanej przez Amy może to jeszcze zrobić. Wystarczy napisać nowy post na temat ukończonego przez siebie quiltu, a następnie zgłosić swój udział na stronie Blogger's Quilt Festival. Po festiwalu odbędą się nominacje, a potem głosowanie. Ja wybrałam jeden z moich ulubionych, a mianowicie Rainbow Mini Quilt. Jak pewnie pamiętacie uszyłam go biorąc udział w Dare to Dresden Blog Hop. Wszystkie szczegóły znajdziecie tutaj. Swój Rainbow Mini Quilt zgłosiłam w kategorii Doll/Mini Quilt. 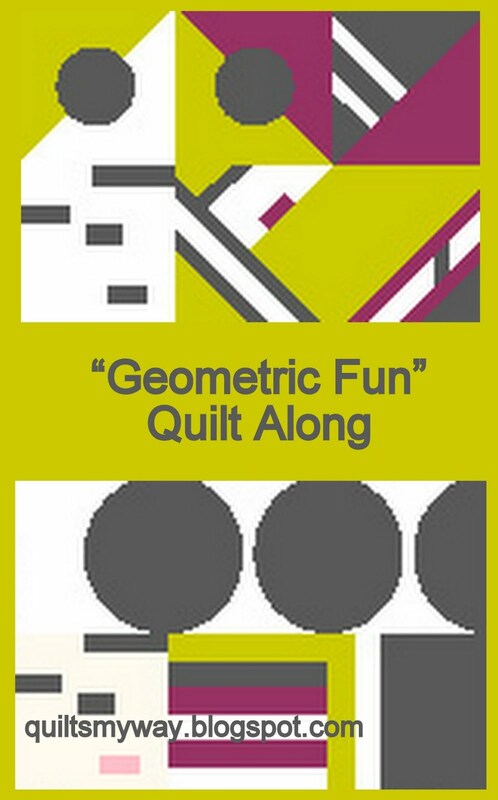 Before I finished my Mini Quilt, it's been probably five times that I've changed my idea. It was to be a pillow at first, then a table runner ... in the meanwhile I was thinking about circle arrangement of elements , then I changed my mind and I decided to arrange the elements in a shape of a curve, but my idea got changed to the shape that is now. It's a combination of vibrant colors with a contrasting whiteness. 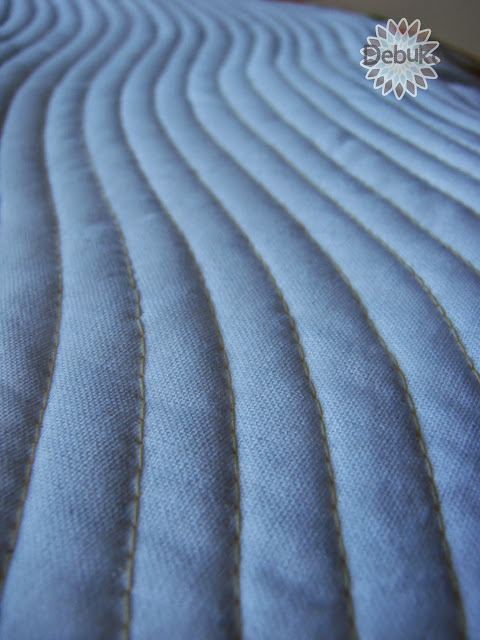 It was quilted in two different ways, trimmed with a colored binding. This is very cool! I love how it curves along. That's a unique use of a dresden ruler, too. I think your quilt is lovely, and I love your photographs. I really appreciate when there are good overview photos of the whole project plus really nice close-up shots of the details. 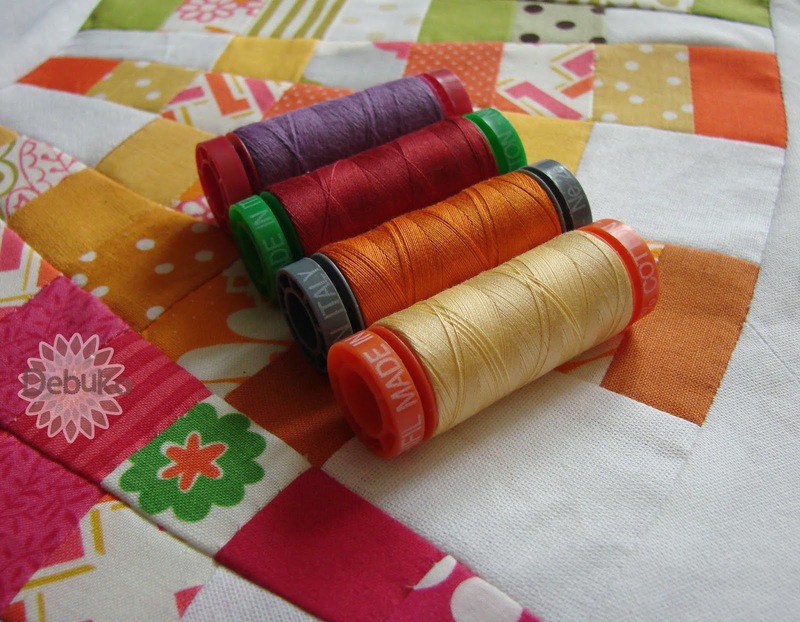 Your photos of your quilting are beautiful! Ten quilcik jest prześliczny i od zawsze mi się podoba! I love how it turned out, so pretty! This is absolutely beautiful and I wouldn't have realized the small size if you hadn't mentioned it. As always your quilting is perfect! Thanks for sharing. Wow! To moja ulubiona z Twoich prac -trzymam więc kciuki z całych sił!!!! 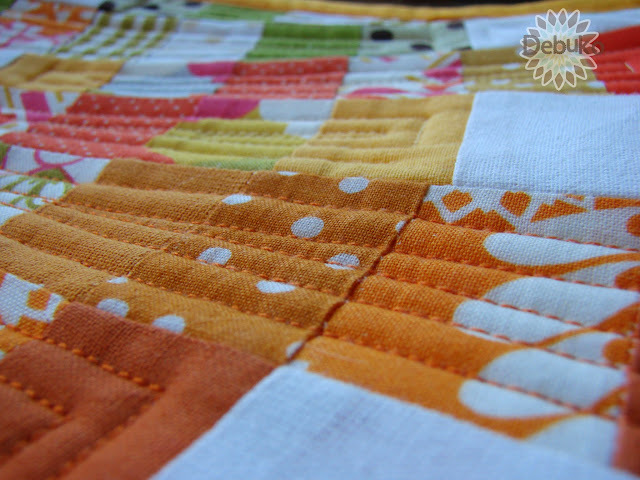 I love everything about your quilt! Lovely design, colors and quilting. You did a wonderful job. What a bright, happy quilt! Great quilt! I love the design and colors! I love this! Love the gentle curves and the way you used the dresden pieces! Great quilting too! 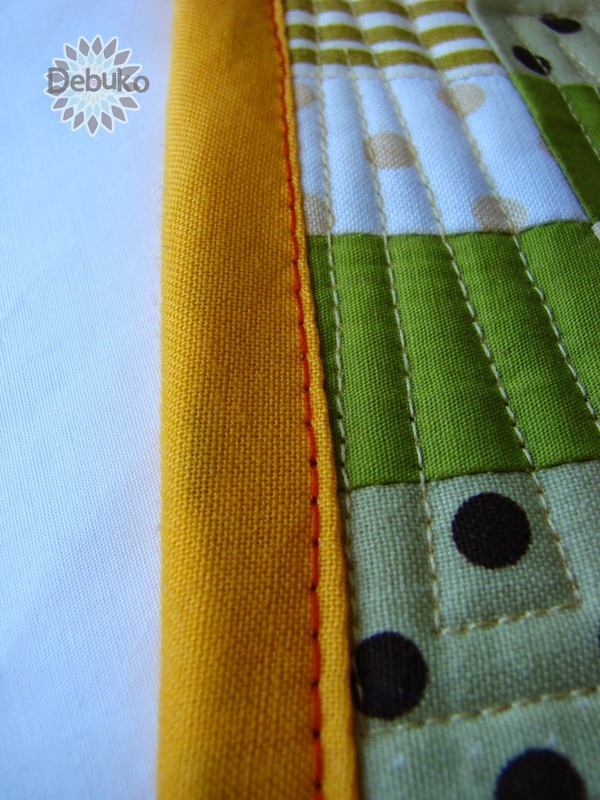 I love the crispness of the coloured fabrics against the white and your beautiful quilting. This is quite fun. 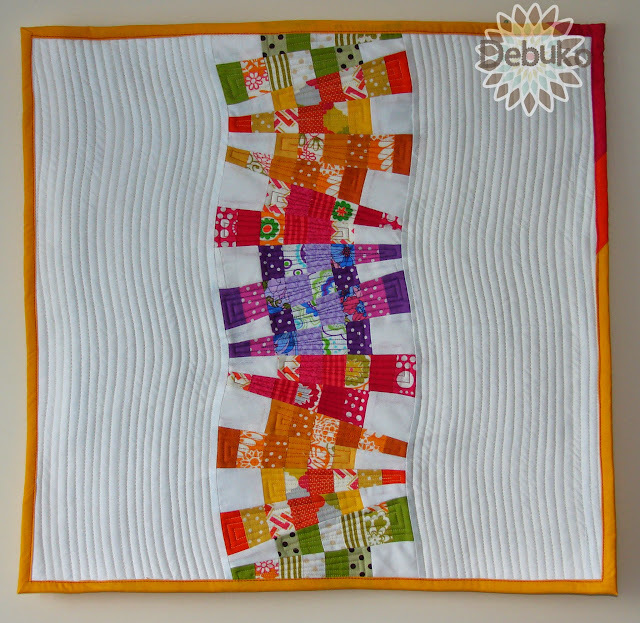 I like the variegated stack and the line quilting. This is so adorable! Such crisp clean color and design!